Appearance: Off-white Powder. It is soluble in water. For external use only. 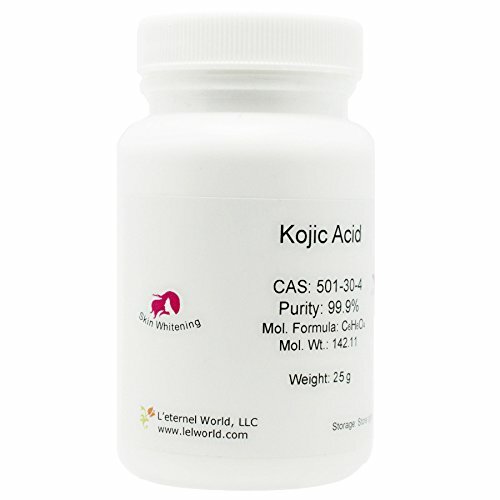 Kojic acid is one of the most popular skin whitening and brightening agents. 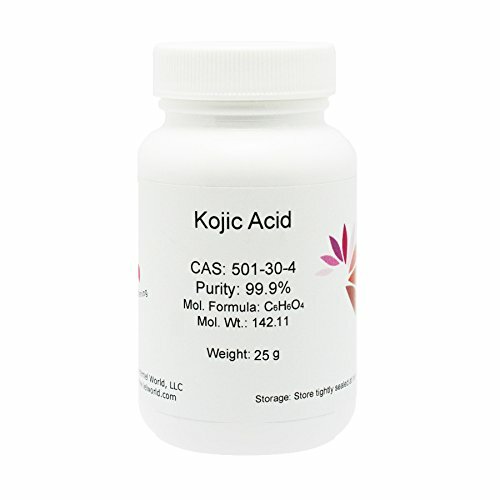 It is also an excellent anti-oxidant, It provides excellent effects in evening out skin tone. It is an inhibitor of the formation of pigment in plant and animal tissues, used also to preserve or change colors in cosmetics. Use: Recommended concentration 1-5%. Add to warm (25-40°C/77-104°F) water phase of formula. It can oxidize and lose some of its activity if put into water above 40°C (104°F). It can be combined with other skin lighteners. 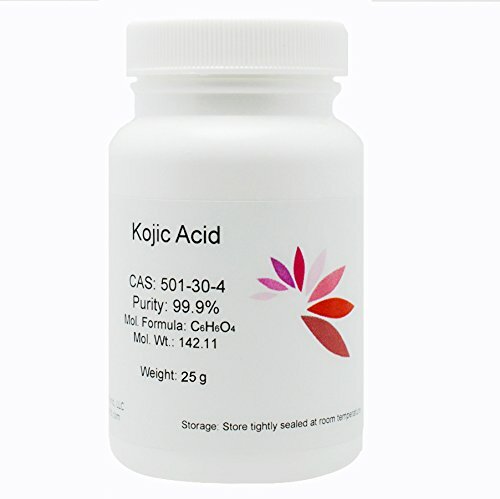 Kojic acid has the tendency to oxidize over time; therefore, it is good to use vitamin E tocopherol or BHT in the cream to reduce oxidation. Applications: This product is widely used in skin-lightening products, such as toners, lotions, creams, and makeup products.